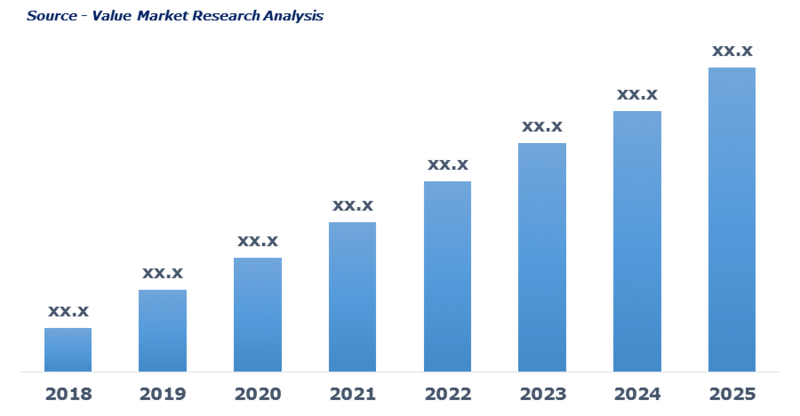 As per this study, the Global Anti-Counterfeit Packaging Market was valued USD 111.5 BN (by revenue) in 2018 and is anticipated to reach USD 238.9 MN by 2025 with a CAGR of 11.5%. Counterfeit refers to the unauthorized production of patented or trademarked products. Anti-counterfeit packaging refers to prevention of sensitive products from piracy or counterfeit. It includes protection of holograms, labels, barcodes and radio frequency identification devices and thus protects the integrity of the products packaged. Anti-counterfeit packaging is a usual practice used in food & beverage, healthcare, and pharmaceutical industry to reduce health risk.